Myanmar is a predominantly agrarian based economy. Agriculture contributes to about 50% of national GDP and involves a majority of the labour force, with more than 70% of the population being subsistence-level farmers. Consequently, more than 10,000 tons of pesticides are imported annually in Myanmar and according to FAO, pesticide use in Myanmar has been increasing rapidly in recent years – the use of herbicides alone increased six-fold since 2010. As a majority of women are both owners of farms and farm labourers, a training activity focused on women in the community was funded by the Crawford Fund, with the goal of ensuring safe use of pesticides for both environmental and human health. 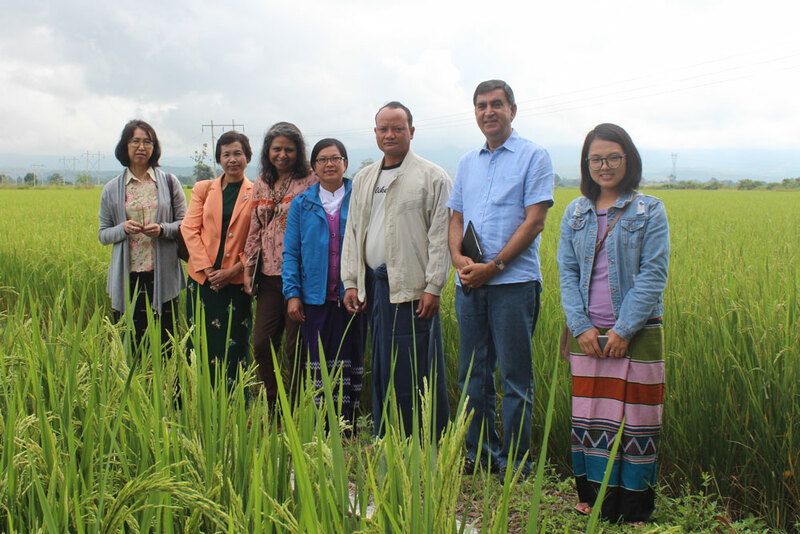 Hosted by the Plant Protection Division (PPD) of Myanmar, and delivered jointly with CSIRO Australia, the training was held in October 2017 in Heho – a town located in the Shan state of Myanmar. 30 women were carefully selected by the PPD for the training, involving lectures, breakout discussion sessions, demonstrations and field visits. The training covered potential adverse impacts of pesticides on human health, with information on toxicity of pesticides and how to identify early signs of exposure. Participants learnt the importance of pesticide labels, how to read the labels and a practical design of a ‘biobed’ (a constructed bed to receive unused spray solution and equipment wash off) was introduced. The team also distributed personal safety kits demonstrating their proper use as well as an information booklet (in the local language) on integrated pest management. “The trainees showed a great desire for knowledge and learning. Feedback received suggested that the training activity was successful,” said Facilitators Dr. Rai Kookana, Pesticide Chemist and Senior Principal Research Scientist at CSIRO Land and Water, and Dr. Anupama Kumar, Pesticides Ecotoxicologist and Principle Research Scientist at CSIRO Land and Water. 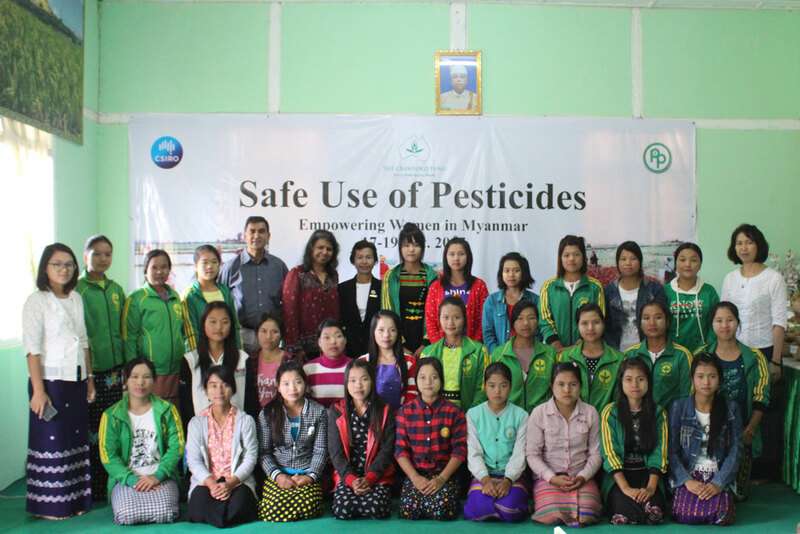 According to Dr. Aung Kyaw Oo, Director of PPD, this was the first such training workshop in Myanmar on safe use of pesticides, and there is hope to repeat the training in other states. And, as the training focused on female farm owners and labourers, the benefits are expected to reach the entire family of participants.